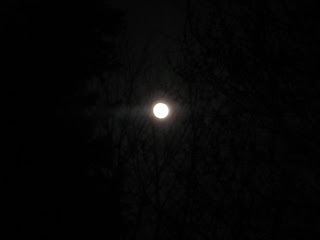 March 19, 2011.... "Super Moon"
A celestial treat! People around the world are talking about it... our moon. Tonight, it is about 17,000 miles closer than usual, appearing 14 percent larger and 30 percent brighter than most nights. Scientists have dispelled myths that this "super moon" will wreak havoc or cause natural disasters..... I guess we'll know for sure by morning. Good Night Leesburg. Good Night Loudoun. Good Night Virginia. Good Night USA. Good Night Moon. Bored? Get Out and Explore!